for more information about the boroughs of Tonbridge & Malling and Heusenstamm. 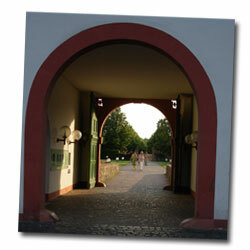 The Heusenstamm Friendship Circle is not responsible for the content of external websites. We are on facebook. Check it out here! This link will take you directly to the Town Twinning page of the Tonbridge & Malling Borough Council's website. For a comprehensive description of Heusenstamm and its surrounding area check out this website. It includes the history of the area and the town from the 13th century onwards. There are also sections headed Politics, Culture and Sightseeing, and Social Life, amongst others. 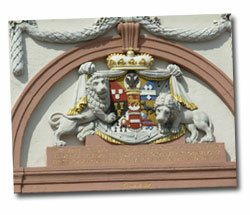 Click on the link below for the official website of the town Heusenstamm, which is in German. The pages of particular interest are Tourismus, under the heading Bürger & Stadt, where you will find photographs of many of the picturesque buildings in the town (Sehenswürdigkeiten), and under the same heading, via Über Heusenstamm there is a subsection dedicated to the Partnerstädte (twinned towns). Under the main heading Freizeit & Kultur you will find the Veranstaltungskalender showing the dates of all known events for the current year. TPS has a triennial exchange with the Evangelische Kantorei in Heusenstamm. The next joint concerts will be in 2019.